Overlooking the beautiful River Bann and within easy reach of all the attractions of Northern Ireland's North Coast. The hotel has a Table Table restaurant serving great value fresh quality meals throughout the day. Free on-site parking is available. 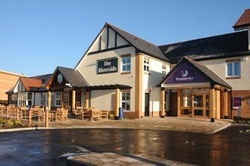 Book direct for the best Premier Inn Coleraine deals.